Back Door Straight Poker | I prefer my straights through the back door. MUCHO! I prefer my straights through the back door. MUCHO! Every card we get on the poker table dictates how we are going to play the game. Let us look into small to medium pocket pairs and what we should do when are in a tight passive or tight/loose aggressive poker games. The difference is that, in this game, you are allowed to draw a total of three times — basically, during most of the betting sessions. 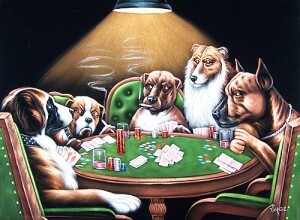 One betting session occurs when players get their initial cards; then, each time the players are allowed to draw, another betting session occurs. 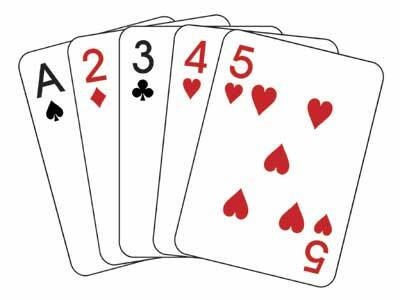 In this game, the ultimate goal is for you to make the five lowest cards that you can — without any pairs, straights, or flushes. Ace cards count as the highest possible cards rather than as ones. 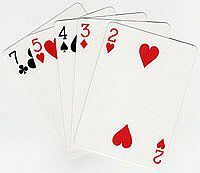 Thus, in Deuce to Seven Lowball, just as the name suggests, the ideal hand is: 2 3 4 5 7. However, any regular flushes, straights, or straight flushes will count against you. So, you do not want a 6 in there. Seven Card Stud (or Seven Card Stud High, if you want to get specific — as opposed to Seven Card Stud High/Low, of course), is a rather well known variation of poker. However, just because it is well known does not mean you should not be well aware of the rules and strategies involved in playing it. 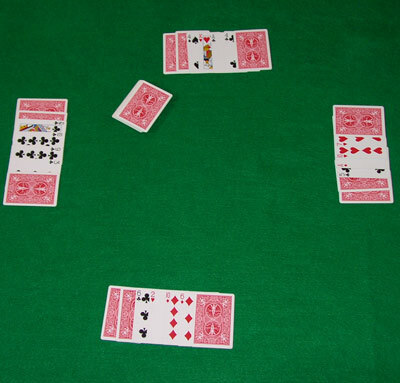 In this game, the players put up antes; so, every player antes up, as opposed to only certain players putting down the blinds. Each player gets three cards at the onset — two of them are face down and one of them is face up. The person with the lowest card face up has to begin wagering, with the “bring in.” The other players follow in a clockwise motion. 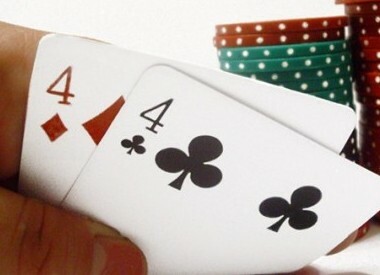 A betting session follows, then the players are dealt a fourth card, also face up. A betting session follows this as well — and so on, for seven rounds. The idea here is to make the best hand with five out of seven of your cards. Omaha High is another popular variation of poker. 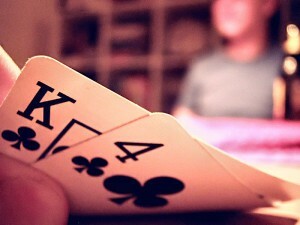 In this game, you begin by receiving four cards, dealt face down. By and large, that is where any similarities to Texas Hold ‘Em end. Omaha High is considered a much trickier, exceedingly more difficult game. As such, it is not recommended for beginners unless you are playing casually with a group of friends, solely for fun. A betting session follows the dealing of the four cards. 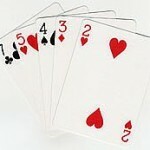 However, players are not allowed to discard. Following this, the Flop is dealt — three cards, face up. As with Texas Hold ‘Em, any player can use these cards to supplement their own hand. The tricky bit is that you have to use two out of the four cards you are originally dealt, in addition to the three Flop cards. 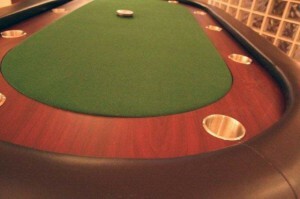 So, by now, you have probably have figured out where you want to play, be it at a bricks casino or at an online casino. Whatever the case, now it’s time to choose your game. This is harder than it may seem at first, simply because there are so many different varieties of poker. Right now, Texas Hold ‘Em is probably the reigning champion in terms of popularity. It’s a challenging game but, on the plus side, it’s incredibly easy to figure out. The combination makes it perfect for both experienced players and novice players. It’s considered the simplest variety of poker. You don’t have to ante up, you don’t have to discard. You only ever have to deal with two cards of your own. You have to bet on just those two cards as well. You are also dealing with the Flop, the Turn, and the River. Each of those have a betting session as well. One thing beginning players often want to know is, where should they play poker? What is the best venue for them to learn the game? After all, since there is money involved — sometimes quite a lot of it — many novice players are understandably wary about starting off in a casino. In truth, there are lots of venues available to ease you into learning how to play the game to the best of your abilities. My man Barry Greenstein Macking Kimberley Lansing. Good for him — he’s a PLAYA baby. By the way, I’m not kidding about Barry being a playa. He’s famous for macking women away from the poker table BIG TIME. HERO ALERT!! 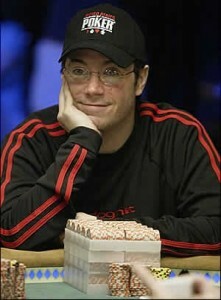 Steve on Welcome to my personal poker blog! Run in 46 queries. 0.257 seconds.